Nationally Certified Massage Therapist Dana Rutt has seventeen years of industry experience. Partnered with her experience as an endurance triathlete and marathon runner, she knows the benefits massage has on a body while working out or training for an event. Why get a Massage at PODIUM? You do not need to be an athlete (we all have a athlete inside us!) to get a massage at PODIUM. The body performs at its peak when there is BALANCE. 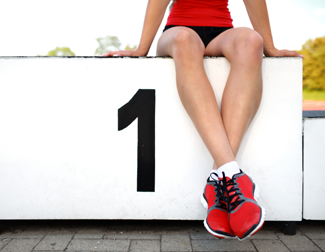 When you become a client at Podium Sports Therapy and land on the Podium at any endurance event, you get REWARDED with steep discounts on services. Podium Sports Therapy Massage is a private practice of Dana Rutt, Nationally Certified Massage Therapist and Ironman triathlete. 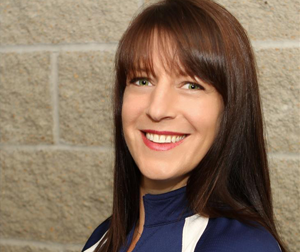 With twelve years of Massage experience specializing in Deep Tissue, Injury Treatment, Sports massage (pre and post event ) and Active Isolated stretching (AIS), Dana provides massage therapy with unparalleled results. PODIUM offers a relaxing environment with a specific goal to every session. You do not need to be an athlete (we all have a athlete inside us!) I can help you move better with less pain and discomfort. Not all massages are the same. I provide therapeutic massage geared towards pain reduction based on your injury/imbalance. I work hand-in-hand with physical therapists, chiropractors and doctors. In most cases, massage is safe while you are receiving other treatments. Questions? please contact us directly. What is Sports Therapy Massage? Reduce the inflammation due to over worked muscles. Stretching joints increases Range-of-Motion so you can reach, bend, step and push harder and faster. Massage flushes out the lactic-acid and waste (burned fat) that your body produces when you work out. The number one reason: Decrease pain... Feel better! Podium Sports Therapy Massage is conveniently located in the Twin Cities metropolitan area in Minnetonka, Minnesota. At Podium we aim to promote muscle balance and function, increase circulation and decrease muscle soreness while improving flexibility and range of motion by a regimen of Deep Tissue Massage, Circulatory Massage, Treatment Massage (where needed) and incorporating stretching. Massage can help aid in a faster, healthier recovery between workouts. We will take you to your highest level! Copyright © Podium Sports Therapy Massage. All rights reserved.